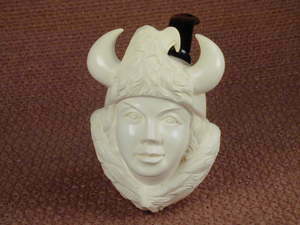 Viking Princess by Mastercarver Baglan. L = 6.75in. / 17.1cm. H = 3.6 in. / 9.0 cm. W = 2.6 in./ 6.7 cm.